I felt early in the year that there was something in my left ankle which wasn’t as it was supposed to be. I cannot recall a certain incident where it started but running through the woods the straightforward way I do you kind of get immune to small hits and minor naggings. I saw half a dozen medical specialists about my irritated foot and got numbers of exercises to strengthen weak parts of my kinesiologic chain, but none of them, nor did withholding from running result in any progress. At some point I just had to accept that I was able to race on a sub-par ankle using anti-inflammatory painkillers. So the scheduled orienteering season 2016 was ran as planned, while most workouts in between were compromised. I’m the type of athlete who gets most out of myself when I’ve got a number bib on my chest. I cannot push myself in a workout anywhere as close to my limits as when I’m up against the best. Trying to toughen up through workouts with a ruptured tendon in my foot doesn’t make the situation much better. 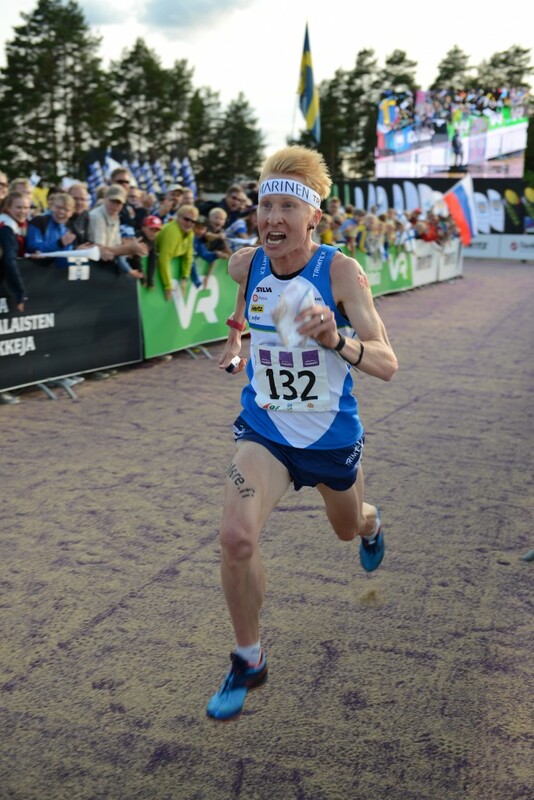 To a certain level one may be able to cross train oneself into shape, but you won’t get World Championship medals in a running event without doing workouts on your feet. I have been going into races with the mental belief that I am able to fight among the best and repeatedly at the finish have to accept that it wasn’t the case that day. Those are tiresome feelings I don’t want to experience in the future so the only solution now is to have a surgery on my ruptured tendon in order to get a chance to fight at the top again. I am willing to do the work needed to recapture a World Championship gold medal. That’s where I feel like home.